Twins are born together and raised together. 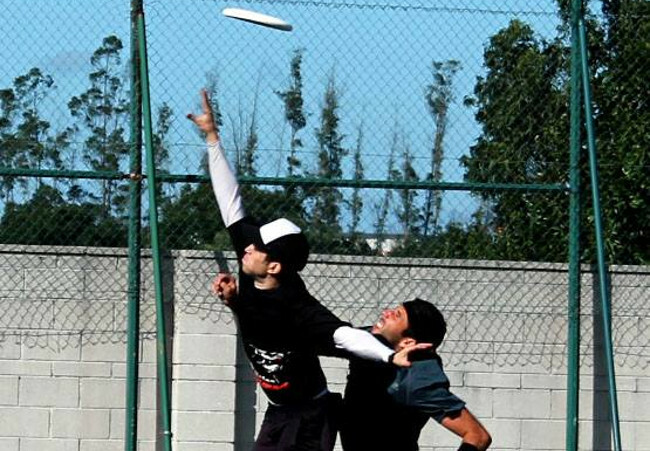 Throughout their lives they’re playmates, roommates and they very often pick up the same sport. 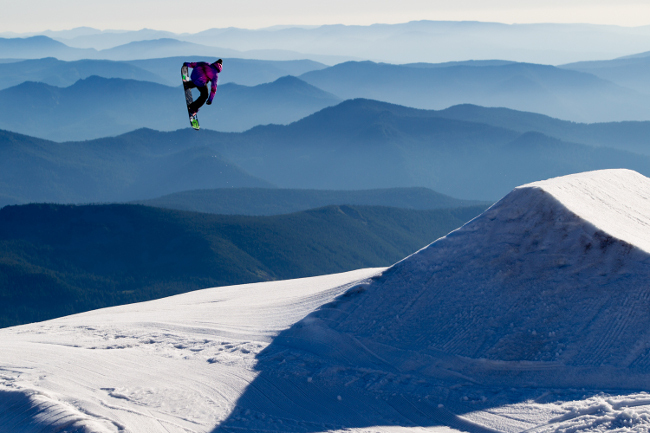 Fellow athletes and identical twins, Saskia and Imogen Sills did just that. 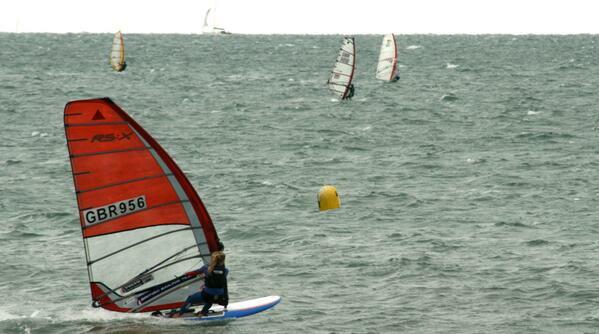 Not only identical in looks, these two young ladies also boast similar talent on the water, windsurfing. Saskia, the older of the two by 30 minutes and Imogen were born 18 years ago in Plymouth, UK. A common point of contention between twins but that isn’t the case for Saskia and Imogen, “We are incredibly close, she’s my best friend,” said Saskia. 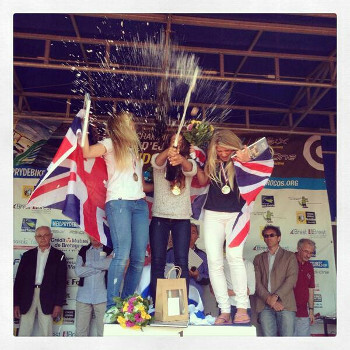 The twins are competitive windsurfers and are part of the Royal Yachting Association (RYA) British Sailing Team. Born into a family of sailors, it was thanks to their older brother Sam, also a competitive windsurfer on the British Sailing Team, that the two girls got into windsurfing at a young age. The girls began windsurfing at the same time but Saskia was more inclined to the sport at the beginning, “Imogen saw a big fish in the lake we sailed in and got scared and didn’t sail for a year.” Saskia joked it may have been a similar situation for her had she seen the fish. Imogen’s initial fear didn’t last long as both young athletes have barely left the water since. The twins began competing in 2005 and have had amazing results in national, European events and international events. Saskia is a triple world champion, she won the Under-15 World Championships at 13 years old, the Under-17 World Championships at age 15, and after moving up to the RS:X, the Olympic windsurfing class, she won the 2012 Youth Sailing World Championship. 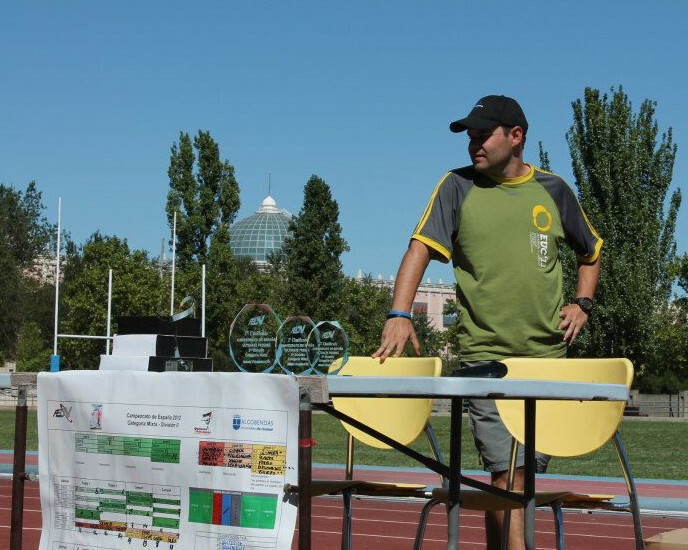 Imogen is the 2013 EUROSAF Youth European Champion and shared the podium with her sister, winning the bronze at the Under-17 World Championships. Imogen is the current UK national champion. More recently, Saskia hit a bit of a road block in her windsurfing career when she was diagnosed with coeliac disease this past Christmas, “I’ve probably had it for a few years, so while I was training last year I wasn’t seeing any improvement and every big training block I got ill, I wasn’t recovering properly.” Being a coeliac athlete is another thing the 18 year-old twins have in common as Imogen was diagnosed with the disease at the age of 3. Growing up together meant that Saskia followed her sister’s gluten free diet and so doctors suspect this is why Saskia went on so long undiagnosed. 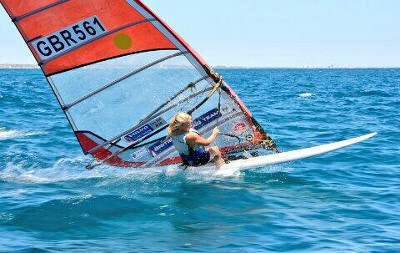 Albeit side-lined for the moment, Saskia has big plans for her return to windsurfing. Although Saskia wants to keep those plans hush-hush, her intention is to be competing once again by September, “I’m aiming for it,” claimed Saskia. 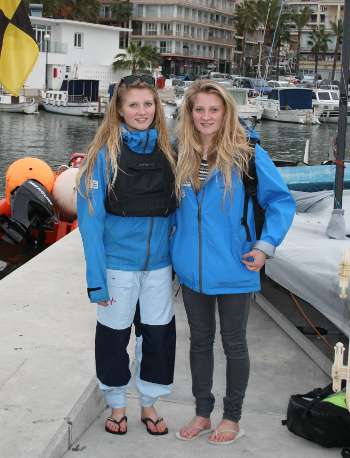 Imogen and Saskia in Palma, Mallorca in February, 2014. 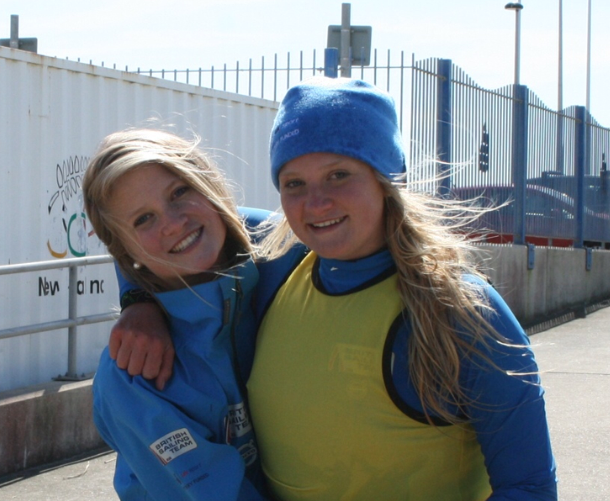 Saskia and Imogen will continue to train near to home at Roadford Lake in Devon, UK, and with the British Sailing Team in Weymouth, UK. Follow their progress on their Twitter accounts, Saskia and Imogen.